Are you looking for great value accommodation in a convenient and spectacular Airlie Beach location? Toscana Village Resort is a family-oriented resort, featuring spacious, well-equipped, self-catering apartments in a tranquil garden setting inspired by the villages of Tuscany. Our apartments offer stunning panoramic views of the Coral Sea and the Whitsunday islands. With four pools, a barbeque area and lovely gardens, you will find plenty of places to relax and soak up the Whitsunday sunshine. You can pre-book your tours and excursions with your accommodation, or our friendly staff can help you make tour arrangements upon arrival. Check out our Special Deals & Packages, and the Tours & Attractions sections. If you're celebrating a special event like an anniversary, birthday, a club meeting or just a get-together with friends and family, we can make all the arrangements to make it a unique and memorable experience in our intimate functions room overlooking the Coral Sea. If you have a large group or special requests, please phone us directly and we will be happy to help organise your stay with us. Airlie Beach is a picturesque seaside village, with the main street running parallel to the beach. Toscana Village Resort is perched on a hill with panoramic views across the village to the sparkling waters of the Coral sea and the Whitsunday islands. The resort is 200 metres from the beach and town - just a short stroll down the hill to the main street's shops, restaurants and attractions. For those who don't wish to walk up the hill after a day of sight-seeing, local taxis are plentiful and happy to do the short drive to the resort for a small fare. Enjoy one of the world's most stunning natural attractions. Unsurpassed views north across the turquoise waters of the Whitsundays to Hayman Island and beyond. 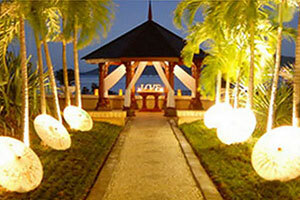 What's on in Airlie Beach? Why wait? Plan your activities and book your tours in advance right here. 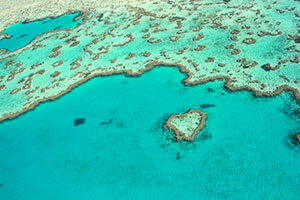 Check out the many ways to explore the Whitsundays and the Great Barrier Reef.